Whether you do a load a day or a load a week, you can cut energy waste and lower your energy bill by making a few simple changes. Decrease your wash time. 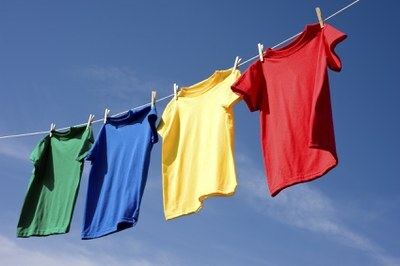 Most clothes need only a 10-15 minute wash cycle unless they are heavily soiled. Wash full loads. Most people tend to underload their washer. Washing one large load will take less energy than washing two smaller loads. Use cold water. Today’s detergents are formulated to work well in cold water. Use a high spin speed. This will remove as much moisture from your clothes as possible and result in a shorter drying time. Use the moisture sensor on your dryer. Avoid over-drying the clothes. Clean the lint filter between each load to maximize the air circulation and efficiency of the dryer. Use the cool down cycle. This allows your clothes to finish drying with the residual heat in the dryer. Dry heavy items separately from lightweight items. If you dry items all together, check the dryer mid cycle and remove any items that are dry. Do two or more loads in a row to take advantage of the heat still in the dryer. Use a dryer ball. It can decrease drying times by up to 10%. Peak usage periods are times when demand for electricity is at its greatest. As a PUD customer, you can help us keep rates low by reducing your electric usage between 7-10 a.m. and 5-9 p.m. on weekdays. Consider doing your laundry in the middle of the day, or on the weekend. If you’re in the market for a new clothes washer, choose one with the ENERGY STAR label. ENERGY STAR qualified washers use less water, wash your clothes faster, and their faster spin cycles remove more moisture from clothes, shortening drying times for even more savings.